A growing and troubling problem claimed another life Monday evening in San Leandro, where an 18-year-old woman was struck and killed by a train while she was walking across railroad tracks. 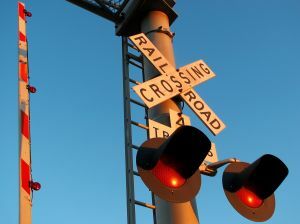 The victim, a San Leandro High School senior, did not fit the profile of the average railroad crossing fatality that the Federal Railroad Administration has described, i.e., a 38-year-old Caucasian male who is under the influence of alcohol and/or drugs, and prompts San Francisco train accident attorney Gregory J. Brod to ask what is behind the increasing number of pedestrian rail fatalities. According to the San Francisco Chronicle, the victim, Britany Silva of San Leandro, was walking south along the east side of Hesperian Boulevard near Springlake Drive about 5:55 p.m. when a southbound Amtrak train appeared. Silva was wearing “earbud-style” headphones while she was talking on her cellphone when a witness yelled out to her to stay clear of looming train, according to police. Unfortunately, police said that Silva was not able to respond to the man’s warning, perhaps because she was not able to hear him, and she was struck by the train. Her body was found 50 feet from the intersection, and the train came to a stop several hundred yards after the collision. Silva, who lived in an apartment complex next to the train tracks, was the second cellphone-related fatality of a teen on railroad tracks in the East Bay in the last few months. In March, a 14-year-old girl died in Martinez after she was struck by a freight train when attempting to retrieve the cellphone that she had dropped on the tracks. The recent fatalities may be attributable in part to a growing phenomenon of what is known as “distracted walking,” i.e., when a pedestrian is preoccupied with something such as an electronic device and does not see or hear impending danger on a roadway or railroad track. With respect to railroads, an additional factor has been that freight traffic has been growing in the United States in recent years, particularly as a result of increased rail transportation from the nation’s booming oil and gas fields, and thus, unfortunately, there have been more opportunities for pedestrians and trains to cross paths. Whatever the causes of pedestrian fatalities on railroad tracks in the United States the numbers have been clear and they point to an undeniably disturbing trend. According to the Federal Railroad Administration Office of Safety Analysis, the number of total deaths and injuries sustained by railroad trespassers, excluding those from highway-rail collisions, has been rising nationwide, going from 772 in 2011, to 842 in 2012 to 900 such cases in 2013. California has experienced the same pattern, with injuries and deaths increasing from 96 in 2011, to 118 in 2012 and 127 last year. Counting fatalities alone, there have been 259 railroad trespasser deaths in California from 2010 through 2013, with 76 recorded last year. Our hearts go out to the family and friends of Britany Silva, who her father said was a straight A student and was planning on going to college, as well as to the families and friends of all the other people who have lost their lives in collisions with trains. Regardless of the circumstances behind such tragedies it is important for the families of a train-accident victim to seek experienced legal help as soon as possible. 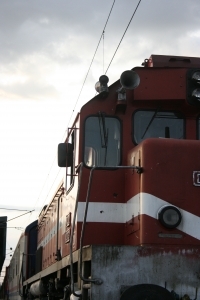 If you or a loved one has been injured or worse in a train accident, please contact the attorneys at the Brod Law Firm for a free consultation.